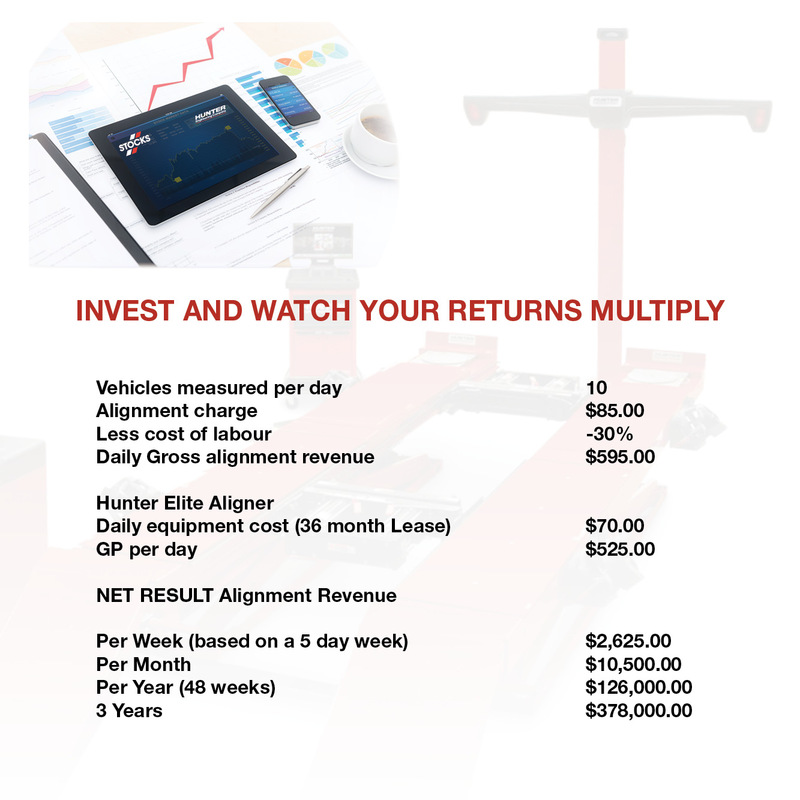 Hunter Wheel Alignment ROI – George Stock and Company Ltd.
Other wheel alignment machines don’t come close to matching the productivity and profit enhancing power of the HawkEye Elite® wheel alignment machine. HawkEye Elite® is the most powerful wheel alignment equipment on the market today, using four precision cameras to measure the position and orientation of targets mounted to each wheel using Hunter’s patented QuickGrip™ adaptors. QuickGrip adaptors feature spring-loaded arms that grip the tire, eliminating metal-to-metal contact and subsequent rim damage. The HawkEye Elite® wheel alignment machine takes just 90-seconds to chock wheels and raise the lift to work height, mount targets and set air pressure, roll forward to compensate sensors, scan VIN numbers and print vehicle results automatically. Say goodbye to wasted shop time and obsolete wheel alignment machines by adding the top-of-the-line HawkEye Elite® wheel alignment system to your shop today.